The first talks in six years on the disputed Western Sahara region ended in deadlock Thursday, with key players Morocco and the Polisario Front pledging to meet again early next year. The two sides remained at loggerheads over the prospects of an independence referendum, something demanded by Polisario, but an option categorically rejected by Rabat. The negotiations on the decades-long conflict were being led by United Nations envoy Horst Koehler and included Morocco, the Polisario Front, along with Algeria and Mauritania. "A peaceful solution to this conflict is possible," Germany's former president told reporters in Geneva at the end of the two-day meeting, while announcing that all sides had agreed to meet again "in the first quarter of 2019". 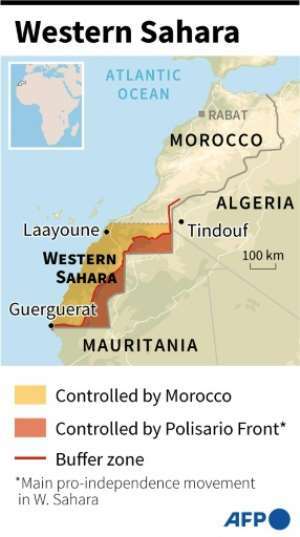 The international community has long intended for a referendum to be held to decide the status of Western Sahara, a former Spanish colony, on the western edge of the vast eponymous desert, stretching around 1,000 kilometres (600 miles) along the Atlantic coastline, a prime fishing region. When Spain withdrew from the North African territory in 1975, Rabat sent thousands of people across the border and claimed it was an integral part of Morocco. The following year the Polisario Front declared Western Sahara the Sahrawi Arab Democratic Republic (SADR), with support from Algeria and Libya, and demanded a referendum on self-determination. Morocco has aways rejected the prospect of a vote in which independence is an option and reinforced that position on Thursday. "A referendum is not on the agenda," Moroccan Foreign Minister Nasser Bourita told reporters. "If we are ready for a compromise then the option is there and autonomy is on the table," he added. 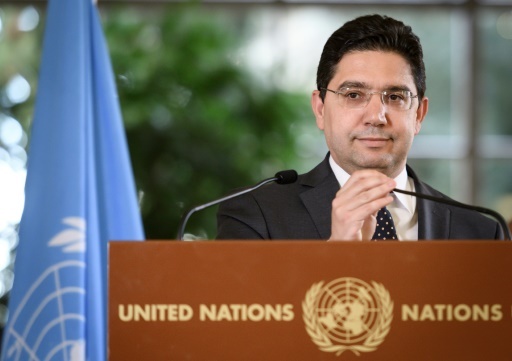 The head of the Polisario delegation, Khatri Addouh, told reporters that autonomy requires allowing people "to make choices about their own fate." "As far as we are concerned, the most democratic way to do that is through a referendum in which the Sahrawi will have the opportunity to choose among various options," he said. Morocco has built razor-wire-topped concentric sand walls in the desert that still ring 80 percent of the Western Sahara territory it controls. Under a 1991 ceasefire, the UN deployed a peacekeeping mission which has perpetuated the line of control. But a renewed diplomatic push has raised hopes that a final deal could be reached. Bourita praised "a very good atmosphere" during the talks, but stressed that "it is not enough." "A good atmosphere should be translated into a genuine will" to act," he added. "This momentum will have an end if there is no political will." The Polisario vowed to remain engaged in the talks but said it needed a willing partner. "We are doing our part, and we are hopeful that Morocco will do its part too. The status quo is not an option," it said in a statement. The Polisario has also criticised the European Union over its decision to continue negotiating trade deals with Morocco that involve Western Sahara despite the absence of a peace deal -- a move the Polisario says amounts to the acceptance of Moroccan control. The EU conduct "violates international (agreements) and particularly the ruling of the European Court of Justice," Addouh said. A spokeswoman for the EU mission in Geneva, Antje Knorr, declined to comment on the "UN-led process". Adding pressure on the need for a solution are the 100,000 to 200,000 refugees living precariously in camps near the town of Tindouf in western Algeria, not far from the Moroccan and Western Sahara borders. The last direct talks on Western Sahara were launched by the UN in 2007 but collapsed five years later over the territory's status and the proposed referendum.